I know many of you have been eagerly awaiting an announcement of our fall pattern release. As we mentioned in our last newsletter (you do subscribe to that, don’t you? ), we’re doing things a bit differently this year. We figured why not give something new a try? Over the next four weeks, we’ll be debuting four new Liesl + Co patterns. We’ll release one pattern on each of the next four Thursdays, beginning this week. And then we’ll release our new fall-winter Oliver + S patterns during the second half of October. I can hardly wait to show the new Liesl + Co patterns to you! I’m very pleased with how they turned out. I’ve had the pleasure of wearing these new styles all summer, so I can guarantee that they’re comfortable and can be styled in a variety of ways. I think you’ll get a lot of wear and enjoyment out of them. By way of introduction, I thought it would be nice to tell you a bit about the inspiration behind the collection. I know many of you like to get a behind-the-scenes peek, so I’ve been posting little hints on Instagram and taking lots of photos of the development process, which I usually forget to do. This season I was inspired by movement and by how it’s affected by ability and disability. Right around the time I was really starting to design this collection, we shared a table at a benefit dinner with a well-known ballet dancer and with a dear and very talented friend who has spent her adult life living with a severe disability. As it turns out, the dancer, Wendy Whelan, was just returning to the stage after an injury and the resulting surgery that prevented her from dancing for almost a year. So I was thinking about both movement and disability as I was developing these styles. You’ll see that we’re offering a variety of hem lengths this season, in part because I’m really in love with the longer (midi-) length right now but also because I was thinking about movement of the body and flow of the fabric as I was working on these styles. 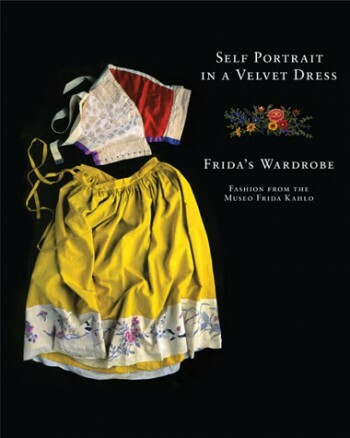 I was also thinking about Kahlo’s wardrobe, and you’ll probably be able to detect her influence in some of the styles. 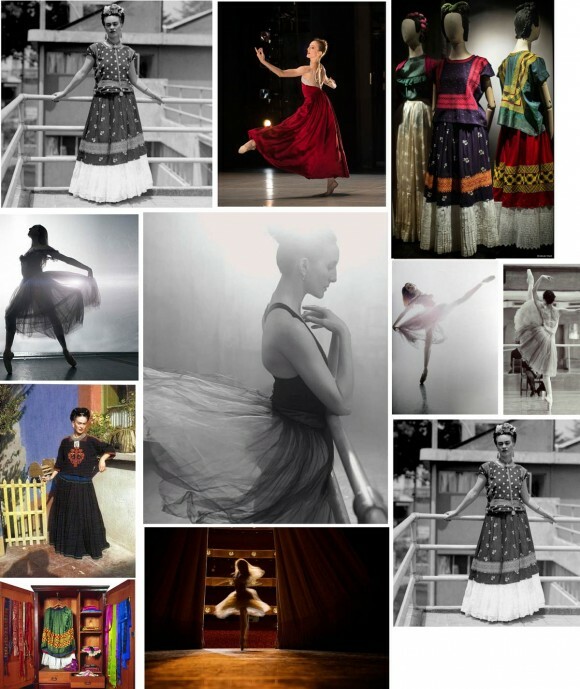 She wore longer skirts to hide her disability, while dancers sometimes wear longer skirts to emphasize their long legs and the beautiful lines they create as they move. It fascinates me that the same type of clothing can serve as either emphasis or as camouflage. If you want to see more images from my mood board, I’ve pinned a lot of them here. I’ll tell you all about each of the new styles as we introduce them. Are you ready to sew for yourself? I hope so! I’m disappointed that the new Oliver + S patterns won’t be released until the second half of October. That’s too late into autumn for me. By the time I order the pattern and shop for fabric, it will be getting too close to Thanksgiving and Christmas travel and preparations for me to get much completed. I need quite a bit of time to make clothes for 3 kids. Please consider an earlier release date for fall and winter patterns next year. Still, I do look forward to seeing your lovely children’s patterns. Based on your inspiration I am very excited to see the new patterns! Thanks so much for sharing your thoughts behind the designs. Your inspiration leaves me anticipating your release of your new line. Theatre and amazing fabrics from around the world come to mind. Looking forward to the release, I need new pieces in my fall wardrobe! And usually your style is what I am looking for. I am so exited! I have plenty of things to sew for my little girl but not many patterns for me. I was interested in sending a picture of the “pinwheel tunic” that I drafted into a terry cloth beach cover up. Thought you might like to see it. Looks adorable on my 15 month old grand daughter. Sounds great! The best way to do that is to add it to the Flickr group. That way others can see it too.